Digital image by Wee Stamps called Holly is the focus of this adorable winter card. I used colored pencils to color her. MFT stitched circle die and in and out stitched rounded square die for the shapes. A crossed the top I used a glittery fiber and added a plastic snowflake charm. To finish it off I used my wink of Stella to add glitter to the snow and her wand. 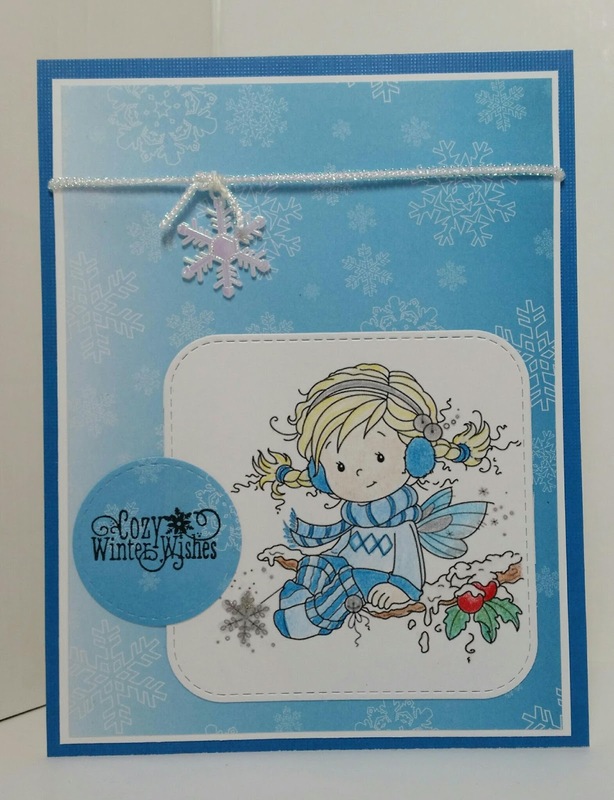 Very sweet winter card. Thank you for joining us at Tuesday Morning Sketches.